must. have. v-day. essentials. - bitte.und.danke. The countdown until Valentine’s Day is officially on! Whether you’re coupled up or flying solo, there’s no better time than right now to stock up on a slew of swoon-inducing heart-printed goodies. From quirky accessories and dainty jewels to the occasional “pop” of red, I’ve rounded up 13 V-Day must-haves that every girl needs come February 14. Enjoy! 1. 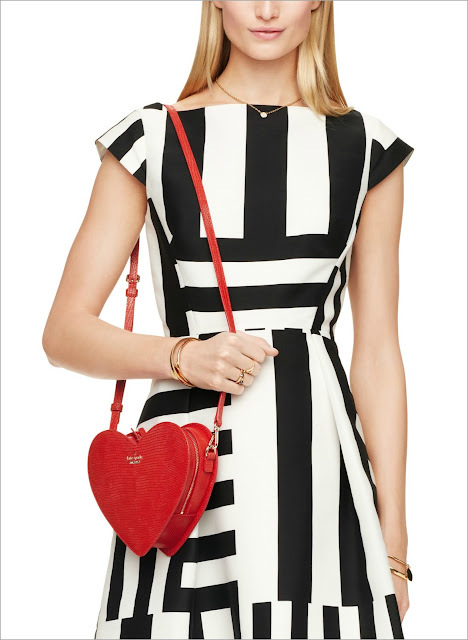 Secret Admirer Heart Crossbody Bag (Kate Spade) // Not just restricted to Valentine’s Day, this Kate Spade heart-shaped crossbody bag can definitely be sported year round. From work to play, it’s guaranteed to add major panache (and whimsy) to every #OOTD. 2. Playful Heart Tights (ASOS) // Plain ol’ black tights simply won’t do when you have heart-printed ones on standby. Just how ah-mazing would this party-ready pair look with a fit-and-flare dress and some classic ballet flats? Major swoon. 3. Girls Just Wanna Have Fun Mini Notebook (ban.do) // Stationery hoarders everywhere rejoice! 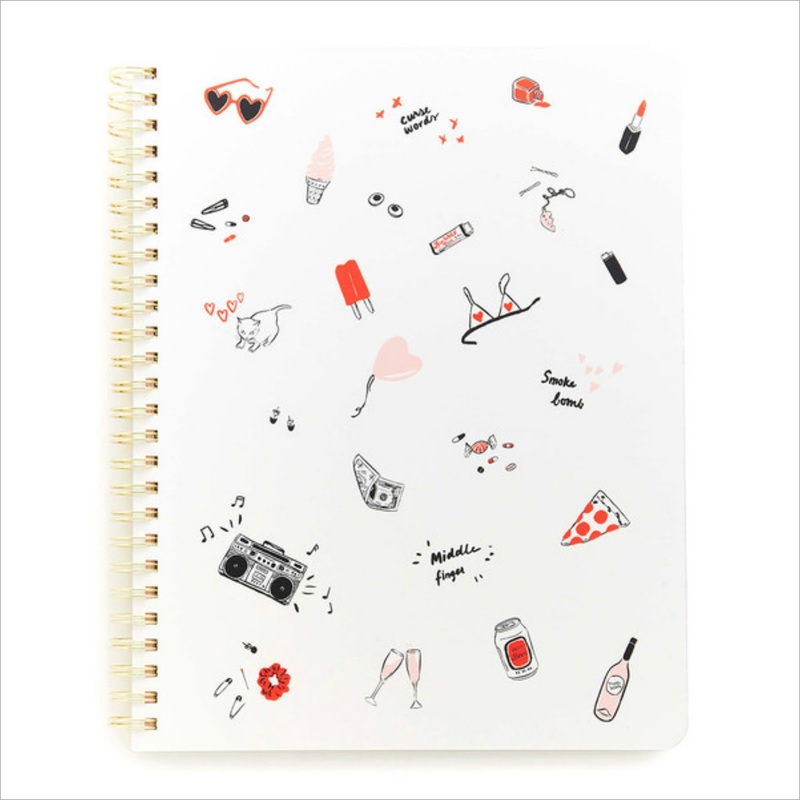 Printed with all sorts of rad scribbles and doodads — pizza, rosé, and heart-shaped sunnies — this ban.do notebook is simply too fun. 4. 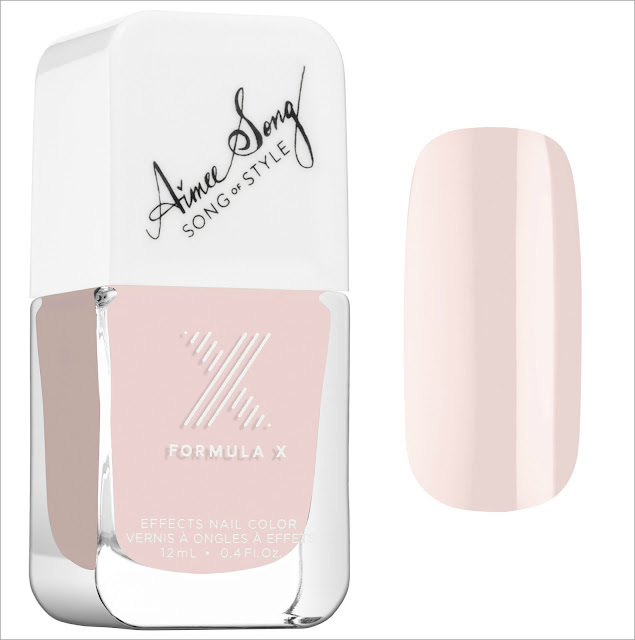 #ColorCurators: Song of Style Edition Nail Polish (Formula X) // Chipped nails be gone! Pair this lovely shade of pink (which is basically Rose Quartz in disguise) with a sparkly accent nail for the ultimate Valentine’s (or Galentine’s) Day mani. 5. Smitten Emoji Heart Earrings (Kate Spade) // I’m crushing hard over these heart eye emoji stud earrings (despite the fact that my ears aren’t even pierced). When chandelier earrings feel too fancy, and your go-to diamond studs just aren’t cutting it, these will always do you right. 6. 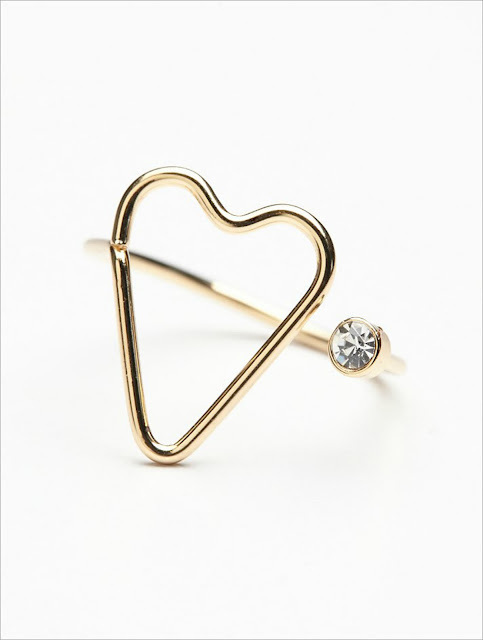 Sweet Dream Ring (Free People) // SO, so pretty! This dainty heart ring is extremely sweet and minimal — and in the best possible way. Major bonus: The sparkly stone makes it appear so much more expensive than it really is. 7. 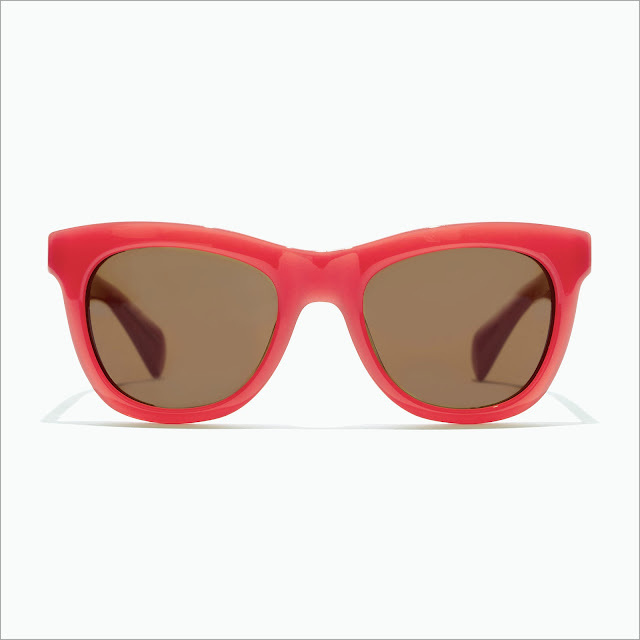 Classic Red Betty Sunglasses (J.Crew) // J.Crew’s latest collection of in-house designed sunnies is serious #goals. These high-drama, poppy red stunners are practically guaranteed to turn any blasé winter day upside down (especially when paired with a striped shirt and a statement-making coat in true Jenna Lyons fashion). I’ll take one in every color, please! 8. Idania Lip Print Pajama Set (Joie) // For your upcoming girl’s night in, a pair of these cheeky lip print pjs is obligatory. Taking you beyond lounging, this set is almost chic enough to wear IRL alongside an oversized cardi and knee-high socks. 9. 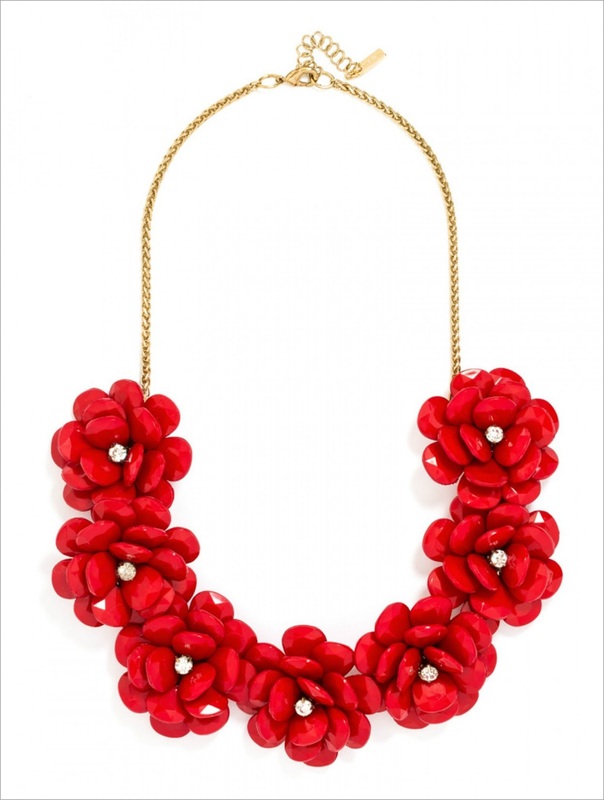 Rose Bib Necklace (BaubleBar) // This J.Crew-esque rose bib necklace is just the thing to take your outfit A-game up a notch (or two). Toss it over a chambray shirt, a LBD or a navy cashmere sweater — the sartorial options are endless. 11. Cozy Heart-Printed Jumper (Topshop) // Why wear your heart on your sleeve when you can cozy up to a heart-printed sweater this chic? It can be dressed up with a tulle skirt or pared down with black jeans + ballet flats for an off-duty look. 12. 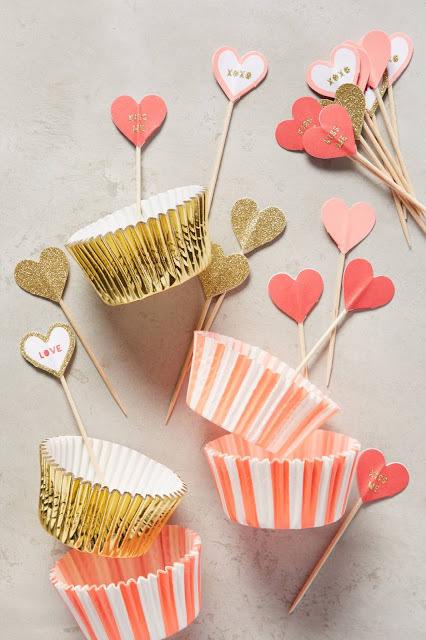 Valentine’s Cupcake Kit (Anthropologie) // Come party time, these Valentine’s Day cupcake liners will be a hit. The snazzy wrappers and decorative toppers are perfect for the hostess with the mostess. 13. 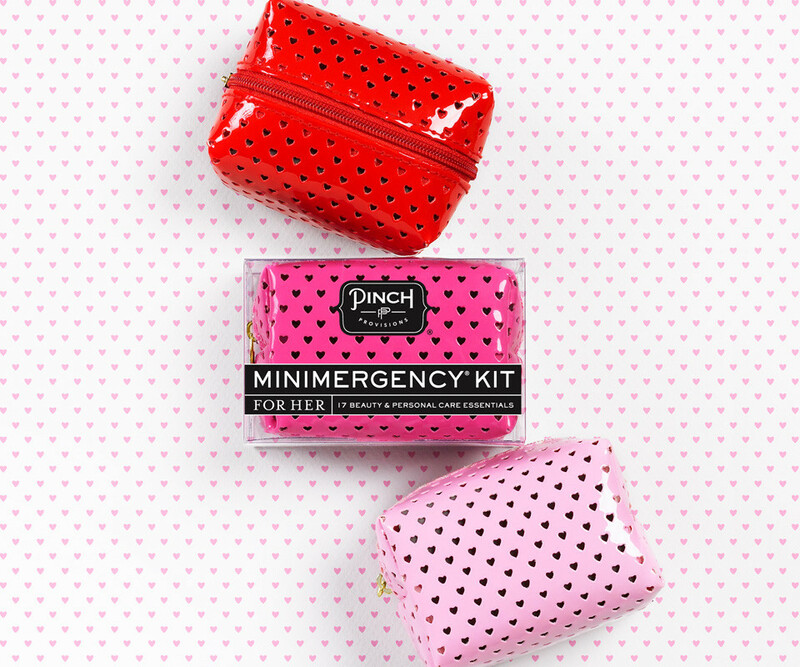 Sweetheart Minimergency Kit (Pinch Provisions) // When in a pinch, a miniemergency kit will save you from every potential wardrobe conundrum or fashion fiasco under the sun. No joke: These cute pint-sized pouches come equipped with everything from clear nail polish to double-sided tape. What are your favorite Valentine’s Day essentials? Leave a comment below! 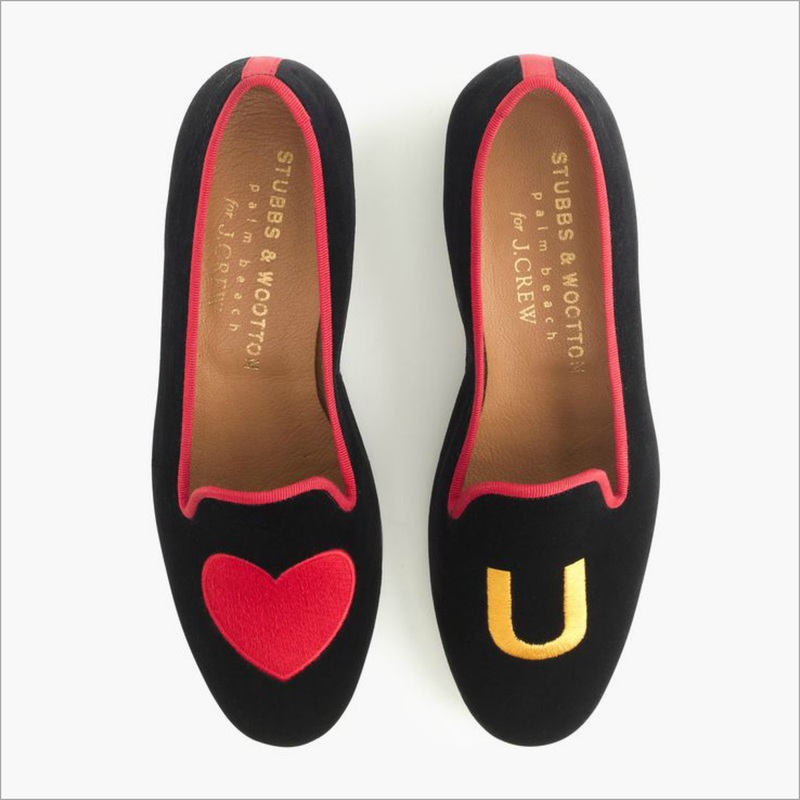 PS: Don’t forget to check out my latest Brit + Co article featuring 25 Valentine's Day gifts under $50 your BFF will love. Love that ring from free people!